We've been going places a lot lately. Anyway...so we went to see a film I really shouldn't be telling people about, for fear that it would make me even shallower than I already am...hah! It's The search for Santa Paws - Disney's new home video offering for xmas 2010. It's not yet released, and we were seeing it in the cinema, so it's kinda nice, but you know from the audience that it's really, really a children's film. We were surprised to find that there were actually fun activities before the film at the cinema - face painting (really nice! ), cartoon sketching and instant photos. We were quite shameless - we lined up for the instant pics! Hahaha...It's a christmassy film, though a bit cliched (and quite childish), and it's good to be reminded of the importance of good nature. We've just come back from a Beethoven concert. I'm not a big fan of classical music, but I did play music and even studied music at school...well that's like 10 years ago! Not being a particularly talented musician, I can hardly appreciate the beauty of techniques etc. but one can tell really easily what's good and what's bad. 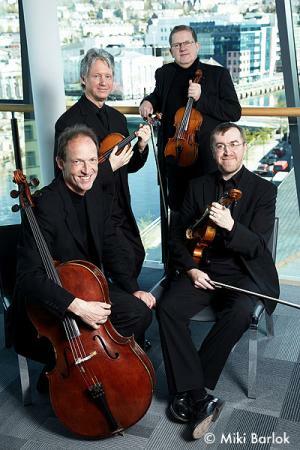 It's the Vanbrugh String Quartet series, and honestly they're good! It's really hard to play so impeccably, particularly when you're playing with others. This is not something we usually go to (the last time we went was when Simon's cousin Samuel was playing in Hong Kong), but once in a while it's good.